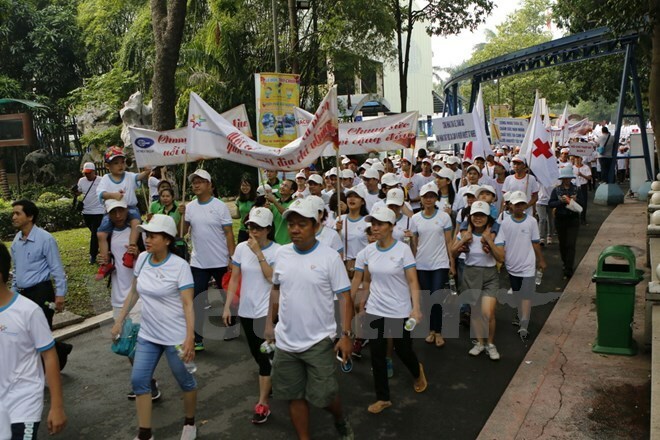 HCM City (VNA) – A charity walk to call for support for Agent Orange (AO)/dioxin victims and disabled people was organised in Ho Chi Minh City on August 5, attracting 5,000 people. The event was held by the municipal Red Cross Society on the occasion of the Agent Orange Day (August 10). Last year, a similar walk helped the organisation raise more than 1.3 billion VND (57,200 USD) for more than 2,800 AO/dioxin victims.